Floral Bloom Scrolls Oriel Crystal Candy Lace Mat measures 13 1/4" x 4 3/8". 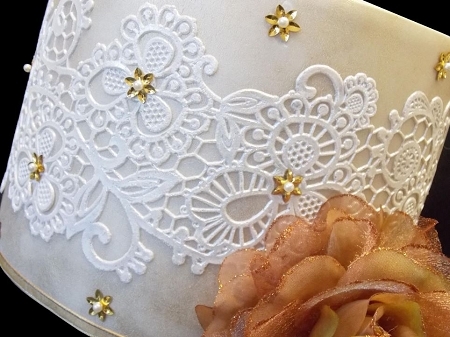 All Lace Mats are best used with Sugar Dress, which is a spreadable lace mix (TOL242). These lace mats create extremely detailed lace designs. Instructions included.